MANILA, Philippines — The Philippines remains spared from a property bubble, according to a top executive of the leading thrift bank. BPI Family Savings Bank president Jose Teodoro K. Limcaoco said demand for housing remains strong, and that stiff competition favors the buyers. 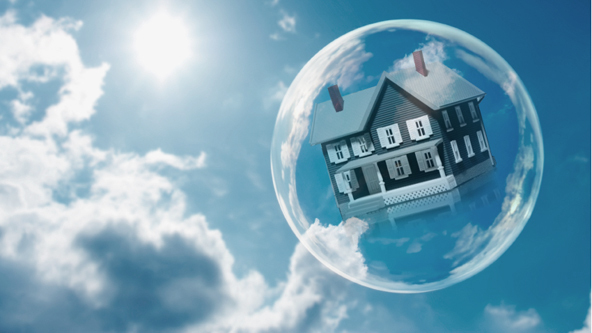 “We don’t see it (property bubble). Our studies indicate that the perceived rise in real estate prices has not kept up with the rise in real wages, in the real economy. The potentials are really sky high,” he said. BPI Family Savings is the thrift bank arm of the Bank of the Philippine Islands (BPI) and is ranked first among the thrift banks in the country. The bank executive said end-users continue to dominate the buying scene over speculators or investors, particularly in the P2.5 million and below segment of the market. Majority of the property buyers are first-time owners, young professionals, young married couples, and well-to-do youths from the provinces studying in leading universities in Metro Manila. Limcaoco said the demand is robust while competition results in the affordability of the units or property both in prices and in interest rates. Competition among the developers is so fierce that rates are kept in a depressed state to remain attractive. “No one is foolish enough to price themselves out of the competition,” the banker explained. The same is true for lending institutions such as banks. The BPI Family Savings official pointed out that the macroeconomic fundamentals and the high liquidity situation of banks is forcing banks to keep borrowing rates low. The competitive and fundamental conditions of both sectors are thus conspiring to make buying property affordable. The thrift bank of the Ayala Group thus forecasts consumer loan growth to remain in the 12-15 percent growth rate this year, roughly the same as the past two years. Mortgage loans would continue to dominate its loans portfolio as most projects are nearing completion, or that the units are being turned over to the buyers. That simply means buyers have to go to the banks to complete payments. Mortgage or property loans account for half of the total consumer lending for BPI Family Savings. Auto loans account for roughly 28 percent of the total while small and medium enterprise (SME) loans for 22 percent. Of the SME lending, franchise loans is the fastest-growing segment. “Eighteen months ago, we had zero franchise accreditation. Today, we have 65 partners. Our franchise portfolio is close to half a billion pesos,” Limcaoco said.